Many companies still have plenty of work to do to comply with the new lease accounting standard. What’s holding them up? In February 2016, the Financial Accounting Standards Board issued new rules on lease accounting that will move most operating leases onto a company’s balance sheet. Currently, only capital leases are required to be recognized on the balance sheet. Public entities are required to adopt the new leases standard for reporting periods beginning after December 15, 2018; nonpublic entities have an extra year to adopt. Both public and private companies have been working the past two years to come up with a clear plan to meet all the requirements of Accounting Standards Update No. 2016-02, Leases (Topic 842). While many have plans in place, implementation is another matter. Some organizations are still well short of full compliance. The change in lease accounting comes on the heels of the revenue recognition standard implemented in 2017. Christopher Wright, global leader of business performance improvement at Protiviti, says the effort needed differs from that needed to comply with the new revenue recognition rules. Not only are organizations getting their heads around how the new standard works, they are evaluating new IT tools, says James Barker, a senior consultation partner with Deloitte. But there’s little room for a shoddy compliance effort. “The risk of getting lease accounting wrong is substantial and involves higher post-implementation costs and a loss of stakeholder confidence,” according to KPMG. 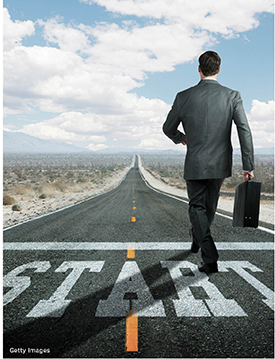 What are companies facing on the IT front? Lease management systems have multiplied since the new lease accounting guidance was released. To avoid becoming overwhelmed, some companies are considering only vendors that offer end-to-end lease management, accounting, and standardized reporting. 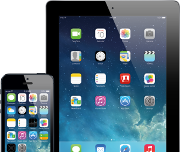 Others are considering third-party tools that offer more limited functionality. Joseph Brown, national managing partner of strategic federal tax services and ASC 842 advisory services at Grant Thornton, says that many enterprise resource planning (ERP) systems are still under development and not yet in compliance. But third-party products, boasting names like LeaseAccelerator, LeaseQuery, Visual Lease Accounting, and LeaseWave, are not silver bullets. Many vendors are still working out kinks in their software products, Barker says. Because of that, some clients have gone through multiple testing phases to ensure the systems work. Some end users are still testing. Complexity and delays are resulting in some organizations having to move to a “plan B” to get through initial compliance with the lease accounting standard. 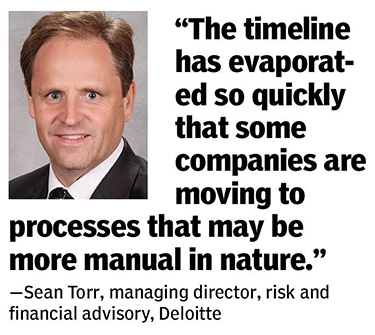 “The timeline has evaporated so quickly that some companies are moving to processes that may be more manual in nature,” says Sean Torr, managing director with Deloitte risk and financial advisory. Companies also have to apply a measure of due diligence, says Brown, running reports and testing the accuracy of disclosures and the system’s ability to provide accurate journal entries. Ultimately, he says, the end user is responsible for the accuracy of what the software generates. Due to the complexity of some of the lease system requirements, Torr says a large number of companies have engaged, or are planning to engage third-party vendors to handle their technology solutions. Even in that case, however, an organization needs a “detailed set of requirements that it’s articulating to the vendor,” he says. One tip is to not underestimate what it’s going to take to get to the finish line. Angela Newell, a national assurance partner with BDO, says that gathering all the data around leases can be difficult, particularly in globally operated companies. “You may find the leases are maintained in the home country and often they’re not in English,” she says. “If you don’t have a centralized lease repository, then getting the data can be a struggle.” An organization may have a lease that’s 10 or 15 years old, and the lease document may be squirreled away in a file drawer. Since the definition of a lease is changing, Newell says, some contracts that did not include a lease under the old standard, ASC 840, might contain a lease under the new one. Physical inspection of offices or manufacturing locations may be required. During such an inspection, personnel might be able to identify leased assets that don’t appear on an asset listing or registry, such as a large-format printer or medical testing device. 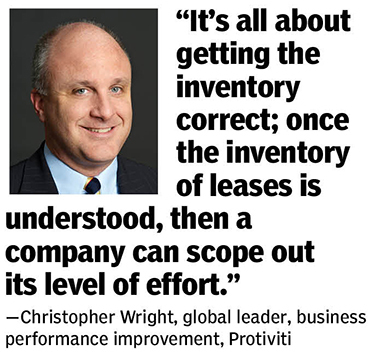 “It’s all about getting the inventory correct; once the inventory of lease accounting is understood, then a company can scope out its level of effort,” says Wright. Plenty of other details need addressing. In the new standard, for example, the definition of the incremental borrowing rate for the lessee has changed. The rate has to be a collateralized rate, Newell says, like that for a mortgage. Many companies, though, borrow via unsecured lines of credit. Those companies will need to estimate their incremental borrowing rates, either by looking to companies with similar businesses and credit ratings or by adjusting their own rate to reflect a collateralized basis, says Newell. Modifying disclosures is another hurdle. Lessees are now required to disclose any significant leases they have entered into but which are not yet effective. Auditors are not accustomed to auditing these leases, and companies are not used to tracking them for financial reporting purposes. In addition, as companies stare down the barrel of the lease accounting deadline, they can’t forget the constituencies that need to be apprised. Finance has to prove first and foremost to the auditor that it has “a complete and accurate population of leases,” says Grant Thornton’s Brown. Companies should be communicating with their audit firms often about how they are approaching a variety of items related to reporting, materiality, disclosures, and future-state processes. Also important is discussing matters that involve significant uncertainty and judgment, such as the use of capitalization thresholds or the planned methods for determining incremental borrowing rates. Companies have to have a future-state process, including policies and controls to ensure that they’re accounting for how they’re (a) entering into leases; (b) modifying leases; (c) terminating leases; and (d) ensuring that it is all materially accurate on an ongoing basis, Brown says. Brown says companies and their accounting firms are discussing what will be required and what approaches should be taken around materiality—that is, what kind of lease assets are immaterial and therefore need not be capitalized. Don’t let January 1, 2019, pass without weighing the following questions. On systems. Have your organization’s lease accounting systems been end-to-end tested? Have appropriate end users of lease data been engaged? Have you engaged with your auditors to understand their approach to testing your lease systems? On lease data. Has all appropriate lease data been fully captured? Is the newly centralized data accurate? Is there a process to maintain lease data? 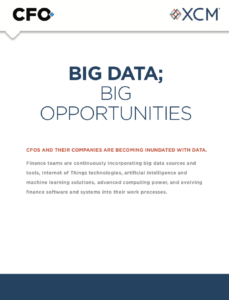 Is lease data aligned with the organization’s accounting policies? On internal controls. Are controls in place around manual processes for interim lease accounting solutions? Have the effects of transitioning data to the cloud been considered? Do you have alignment with your auditors? On employees and vendors. Has the organization staffed enough well-trained, highly skilled professionals to manage the implementation? Is there a clear understanding of who is responsible for which aspects of lease accounting? Have role-specific communications and trainings been developed? Has a support structure been created for stakeholders across the organization? On policies. Are data and system workstreams aligned to accounting policies? Do you have alignment with your auditors around the new accounting policy, including management judgements? Have stakeholders been clearly communicated with about elections to support alignment? Is there a process for keeping policies current with guidance? On external stakeholders. Do investors and lenders understand the KPI and covenant impacts of lease accounting? Have software user groups been tapped to see how others are overcoming challenges? Rob Lenihan is a freelance writer living in Brooklyn, N.Y.
PwC offers a primer for the many companies that aren't yet far along in their implementation process for the new lease accounting standard. Yes, complying with the new lease accounting standard presents a compliance burden. But the effort may well lead to operational and cost improvements.